Avengers: Endgame is the culmination of over 10 years of the Marvel Cinematic Universe. 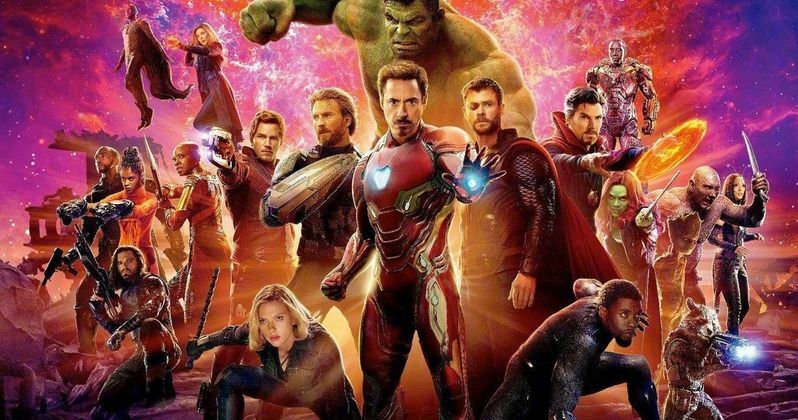 Infinity War was massive in terms of scope and the next installment has a lot to live up to, which has been a huge undertaking for the Russo Brothers. The directors have pretty much been working nonstop on both projects for the last 3 years of their lives, taking breaks when they can, but they pretty much live and breathe Marvel Studios 24/7. When asked if they would change anything, they had one thing to say. If the Russo Brothers could go back in time, like Avengers: Endgame is rumored to do, "We wouldn't shoot them back-to-back," says Anthony Russo. Instead of being treated as a part one and a part two, the movies are considered to be two separate pieces, much like reading two different comic books. Anthony Russo went on to talk about the challenges of crafting a balance between the two projects. He explains. "I think the challenge for all of us was finding the balance between the two films. Because each film is so complex on its own that sometimes considering both of them was a bit overwhelming. So we looked for opportunities in the process to separate the two so that our brains could be fully focused on the narrative. While the films have a connection, as the Marvel films do, they are distinct stories." With that being said, the Russo Brothers would probably like to have a little bit more time to work on Avengers: Endgame. There's special effects and other areas that the duo would probably like to get in a little deeper on, but with such crazy deadlines, they're not able to get as intimate with the project as they would like to. That's not to say that the movie will be cheapened in any way, Marvel Studios has teams of people to get the visual effects on point. The buildup for Avengers: Endgame has been big, just like it was for Infinity War, but it seems even bigger this time around. While the Russo Brothers don't say it, one would imagine that they would like to start to talk openly about things and the decisions that they made and why they made them. Living under the spoilers has to be exhausting for the directing duo. Additionally, they're more than likely ready to start talking about things that don't have anything to do with the MCU. One of the good things about working on Infinity War and Avengers: Endgame so closely is that the Russo Brothers already had a lot of the upcoming movie complete before they could even gauge fan reactions to the last movie. This gives Endgame the same type of purity that Infinity War has and if that's the case, it should be a very satisfying ending to Phase 3 of the MCU. You can read the rest of the interview with the Russo Brothers over at Cinemablend.